A photo of my maternal grandparents. My mom gave me a locket last summer that belonged to her mother. Like many of my grandma’s lockets, this one has ornate floral etchings on the front. But it is uniquely special for its message on the back which reads, “Isabel Love Harold 25/12/41,” a simple yet sentimental statement from my grandpa. Since the discovery of this piece, I’ve been meaning to write about lockets and their history, but the angle of this article didn’t come to me until I started looking for the story of this necklace. It holds a black and white photo of my grandpa in his air force uniform. The inscription confirms it was given at Christmas in the midst of World War II, so of course there must be some grand histoire about a love that spanned two continents and an epic battle. And maybe there was such a story, but if there is, no one in the family knows it. And thus, the angle for this post found itself. Of course, there is an obvious difference in our current overshare obsessed culture in comparison to that of the more private past eras. We have an urge to be seen and share our stories now because we can. To borrow from Marshall McLuhan, in this sense the medium truly is the message and also the impetus for the overshare. Instagram, Facebook and Twitter have allowed us to gamify even the most mundane details of our lives. We casually dispense photos of artful avocado toast and vacation sunsets because the medium dictates that those photos can disappear in 24 hours, just like the footprints in the sand on the beach where said sunset was captured. As a counterpoint to Instagram, the locket has even more meaning now as a medium. Unlike their ephemeral friends, the photos found behind the tiny hinged door of a locket are chosen for privacy and often for love. 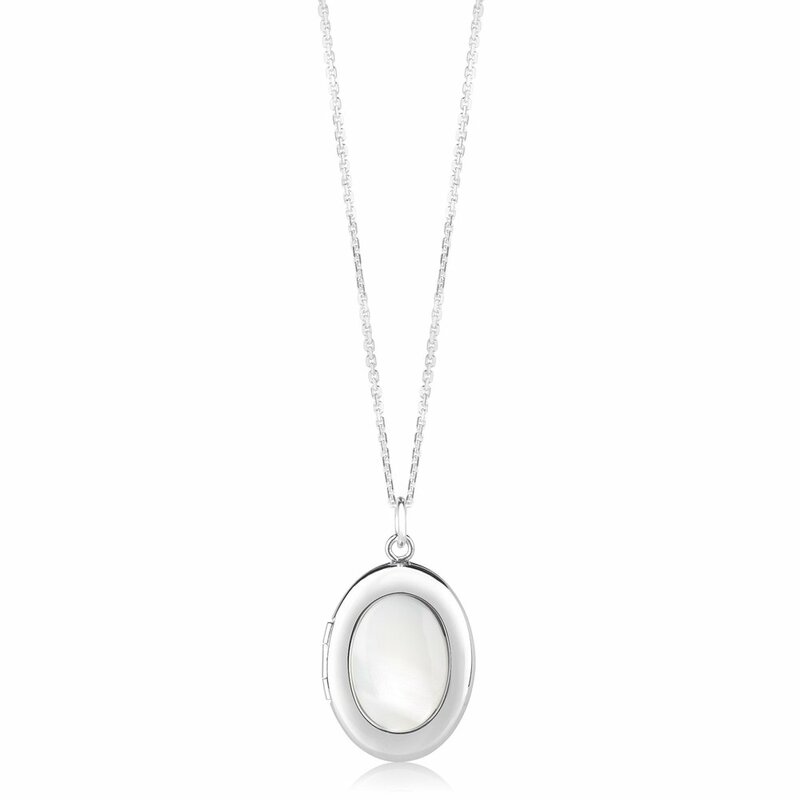 There’s an undeniably romantic quality to a locket whose contents are known only to a select few. When it comes to lockets in general, no matter how modern it is, there is usually some sort of element that looks like it could be straight from the Victorian era. Probably because lockets were a favorite of Queen Victoria during her reign from 1837 until 1901. She was gifted many by her husband Prince Albert. In fact, a locket bracelet he gave her in 1840 may be the first recorded push present. He gave her the gold bracelet featuring a pink enamel heart locket to celebrate the birth of their first child Victoria. He added a locket after the birth of each of their children, and yes, there were nine in total. Each heart has an inscription of the child’s name and birth date on the inside, along with a lock of their hair, which was the thing to do then, not so much now! Queen Victoria's locket bracelet. Photo courtesy of the Royal Collection Trust. 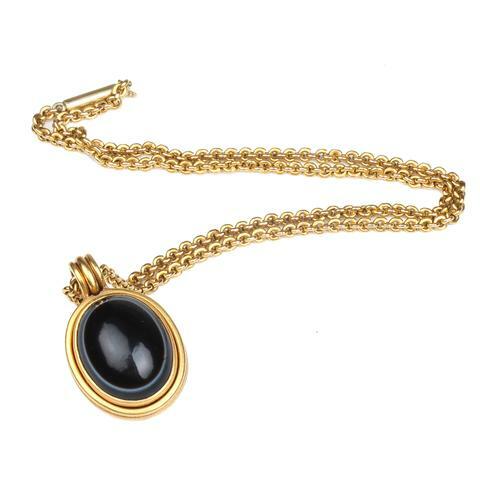 When her beloved husband died in 1861, Queen Victoria was devastated and memorialized him with a gold locket featuring a diamond star set in onyx. 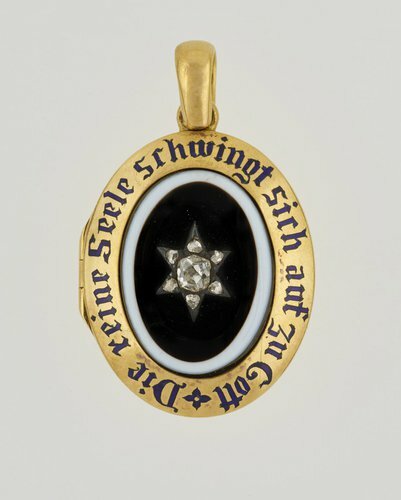 An inscription in blue enamel reads 'Die reine Seele schwingt sich auf zu Gott', which translates roughly as, 'The pure soul flies up above to the Lord'. This subsequently set off a new trend in mourning jewelry, and cemented the locket as a symbol and reminder of love. Queen Victoria's locket necklace commemorating Prince Albert. Photo courtesy of the Royal Collection Trust. 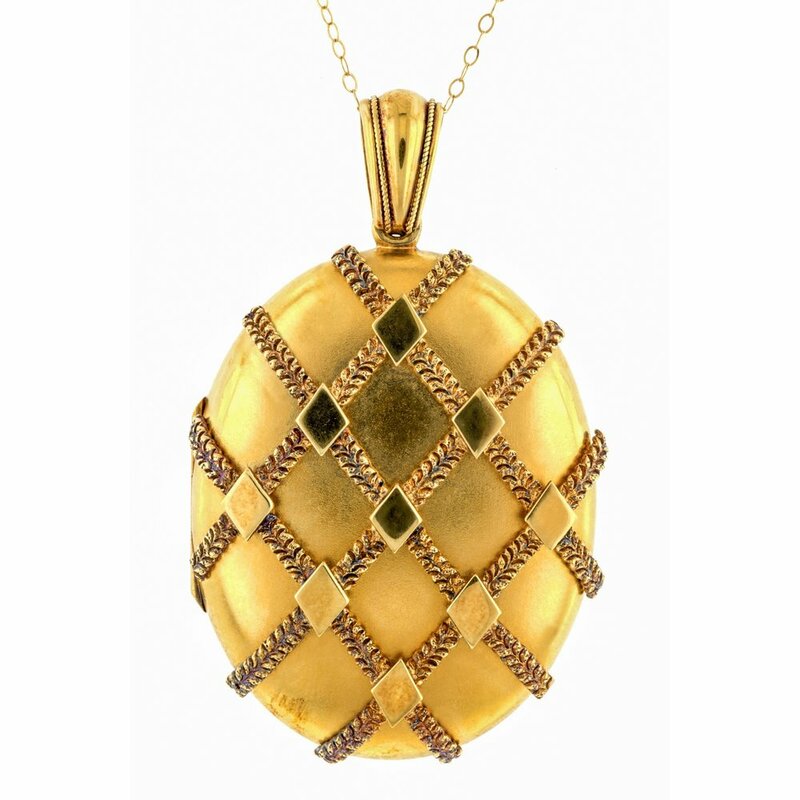 Lockets also played a key role in WWI and even more so in WWII, becoming known as sweetheart jewelry. These lockets and their secret contents were exchanged as a way to keep each other close even though the physical distance may be far. And so, we return to my grandma’s locket. While its story may be lost, it remains a moment deemed so rich in meaning that it was captured, preserved and gifted at a time when photos were treasured rather than just an iPhone click away. And because that was a sentiment that was so meaningful to me, I felt the need to share it on Instagram.